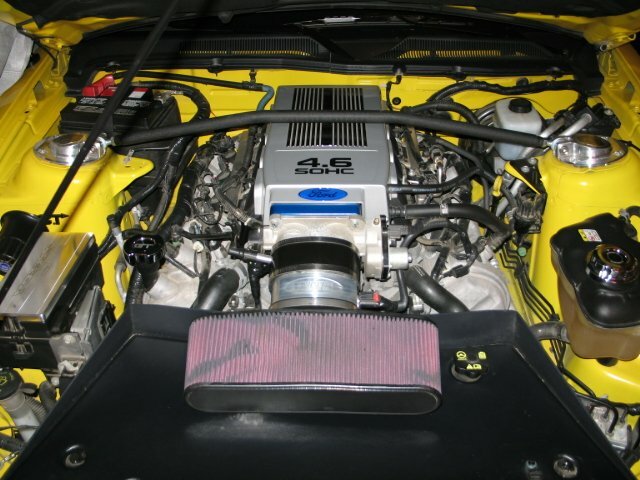 I''m thinking about ordering a plenum cover and fuel rail kit. I just don''t know if the plenum cover is going to fit under my strut stabilizer bars? Anyone have this set up *or* ideas if it will fit? This is not my ride but like it.. I found this one on google... Looks like it might work. The company that sells the plenum has not responded to my questions so far. Next question... (To install the plenum) Can I remove and reinstall the stabilizer bars *or* do I have to have a shop do it? I just don''t want anything popping off if I remove the bolts that connect the bar to the strut tower. Sorry if this is an easy question... I''m just new to this. So I just ordered some color matched strut covers. Please promote "Ford Plenum Cover"